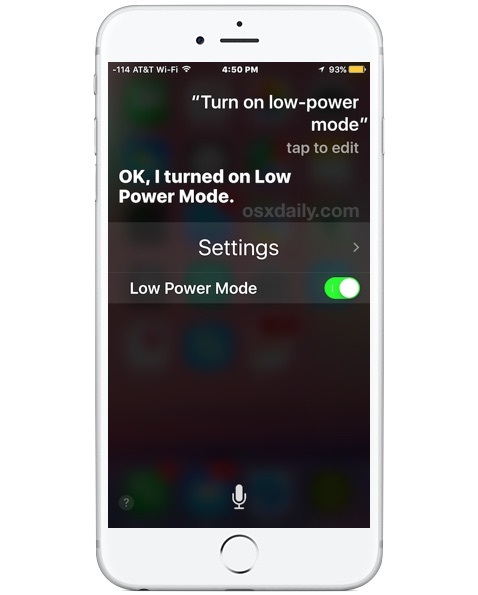 The excellent battery saving Low Power Mode available to iPhone users in modern versions of iOS typically requires being enabled through battery settings, but there’s an even faster way to toggle the feature on and off again at any time; Siri. 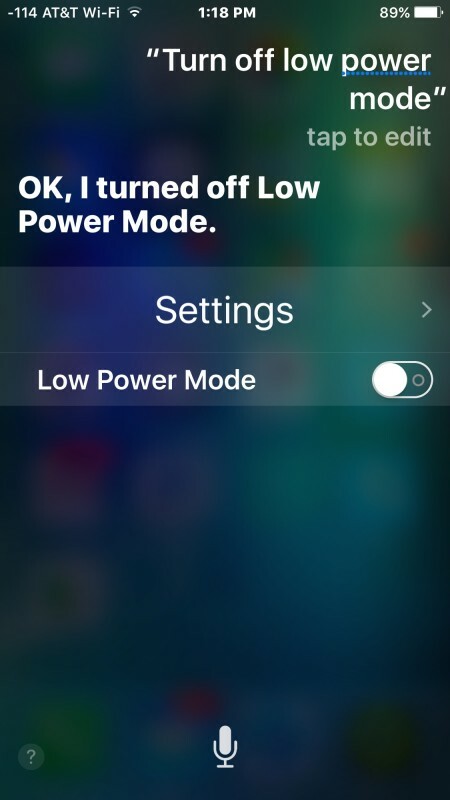 Siri can quickly turn on low power mode or turn the feature off again, and it even works with the magical hands-free Hey Siri feature, so you can command the battery longevity feature from a distance if need be. Don’t want to enable Low Power Mode on iPhone through Battery Settings like some kind of animal fumbling through the Settings app to go to the Battery section and then flipping a switch? 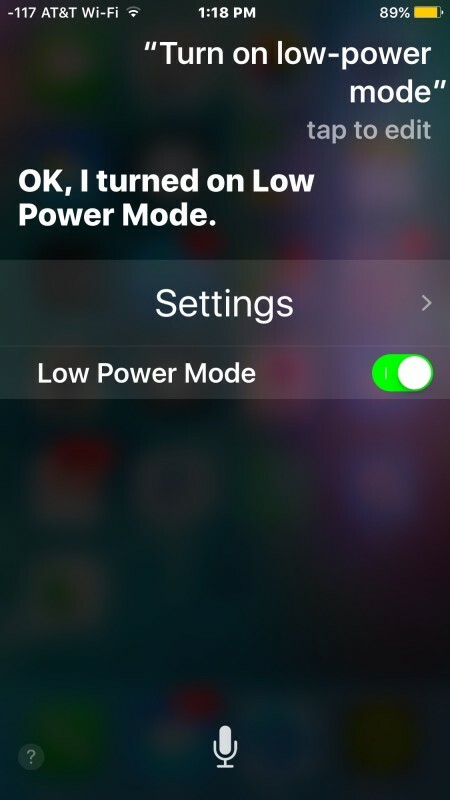 Me neither, and thanks to Siri we can just issue a quick voice command to turn on Low Power Mode instead. We’ve discussed Low Power Mode before, it’s an excellent feature and by far the single most effective method of extending battery life of an iPhone without manually going through and adjusting a ton of settings on your own. Try it out, understand how it works with Siri, and get in the habit of using it when you want your battery to last much longer. I used to have an iPhone, but never really utilized Siri. It is interesting to find out everything the program can do, thanks for sharing these tips.